WOW, what a fantastic effort by the Coolamon community to honour those who served in the Great War 1914-1918. 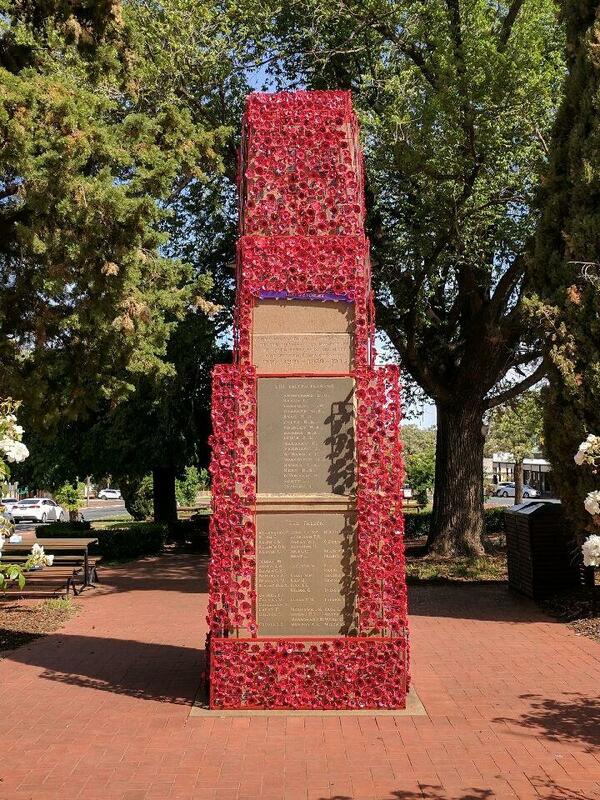 As the final project by the Coolamon RSL Sub Branch to commemorate the Centenary of ANZAC, the community was asked to contribute by making poppies, and here is the end result. Poppies were made by every walk of life and generation, from our Day Care Kids, to Senior Citizens. Thank you to everyone in the Coolamon Shire who contributed, there are over 1000 poppies in the display The RSL Sub Branch thinks we can change that line from the Ode 'We will Remember Them to 'We DO Remember Them'.